It’s hot and getting hotter as summer blasts into the area. Employees are grumpy and frumpy because they’re sweating even with the air conditioning going full blast. Justin almost strangles when his tie catches in a portable fan as he leans over a co-worker’s desk to flirt. But help is on the way. Dolores, the HR rep, has a clever plan to help her co-workers. The company is run by conservative guys in suits who want everyone to be as uncomfortable they are. But finally after years of negotiations, Dolores convinces the suits to allow casual wear during summer. Dolores sends an email to her co-workers explaining the new policy. Privately, she congratulates herself on her negotiating skills. Alas, Dolores is a bit naïve about human nature even after years in the trenches of HR representation. The first day of the new policy, Betty shows up in a sun dress that gives a new meaning to “sheer”. Dolores can’t help but notice when Betty crosses the room in front of the windows. Dolores orders Betty to stay away from the windows for the rest of the day and to hide from the suits. She makes a note in her special file that Betty could benefit from a long pointless training seminar at a great location like Buffalo in February or Houston in August. The next day, Justin shows up in a golf shirt, plaid shorts and flip-flops. When Dolores says business casual does not mean flip-flops, he whips out her email and asks her to point to the part saying he can’t wear flip-flops. That afternoon Dolores adds another note in her special file to tell Justin’s boss that Justin is now ready to handle the most time consuming and difficult clients that can be found. By the end of the first week, Dolores is depressed and disillusioned. The new casual wear policy could get her fired. She sits at home slumped in her favorite chair watching re-runs of the Andy Griffith Show as she ponders her next move. What should Dolores do next? She can recommend that the casual wear policy be rescinded since few co-workers are showing any common sense. She can revise the policy to include an extensive and detailed list of what is “not appropriate”. She can avoid making a decision by taking a long vacation in Antarctica to watch penguins waddle over the ice. The above scenario is based on several actual incidents. In each case, the business casual policy was revised to add examples of acceptable attire. Alana walked into the break room to refill her coffee mug and stumbled into a raging war. A group of co-workers were arguing about the merits of the presidential candidates. Alana sidled toward the coffee maker regretting that she didn’t send her assistant to check if the coast was clear. The political argument covered familiar ground. 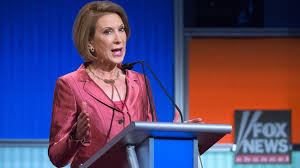 Several co-workers scoffed that Carly Fiorina is ugly and unattractive and so she shouldn’t be president. Another co-worker chimed in criticizing the physical appearance and business sense of Hilary Clinton. Both women were criticized for fashion faux pas. Aside from a few cracks about Donald Trump’s hair, the male candidates were judged on their prior experience and ideas. The argument focused on the conservative credentials of the male candidates but no one criticized their suits or their ties. Alana’s the HR director for her company and she conducts many interviews to screen job applicants. The interviews require her to judge job candidates based on appearance, how well they prepare for the interview and their prior work experience. Inevitably, some job candidates lose the chance to move to the next stage of the hiring process because they don’t look or act “right” in the initial interview. Alana knows that rejecting a job candidate almost always involves her biases, good and bad. She also knows that there are many ways to explain why a candidate was rejected that appear neutral and unbiased. What should Alana do next? She can resign her job and go live in a cave with no wi-fi until after the presidential election next November. She can create a new HR policy banning political discussions in the break room. She can accept the reality that we are judged on our appearance and recognize how her personal biases influence her hiring recommendations. Judy was excited about her new job. She targeted the company for employment after reading the corporate social responsibility blurb on their company website. During the interviewing process, the HR people seemed impressed by her accomplishments and she was impressed by their description of the charitable causes supported by the company. Judy moved into a cubicle with a window view (of the parking lot) and prepared to work for a company with a conscience. Judy set to work with energy and enthusiasm, sure that she had found the perfect employer. But, alas for Judy, the dream job quickly ended. A slob moved into the cubicle next to hers. The slob’s cubicle overflowed with work papers, empty candy bar wrappers and gum wrappers. The slob guzzled caffeinated drinks all day and left the empty cans lying around his cubicle, creating a sticky mess that oozed into the corridor between rows of cubicles. All those caffeinated drinks also made the slob twitchy. He thumped and bumped against the cubicle walls so that Judy sat in a mini earthquake zone. The slob listened to music on his iPhone but even with headphones, everyone in a ten-foot radius could clearly hear the music. The slob often cracked his gum in time to the music. Judy made several attempts to politely ask the slob to turn down the volume on the iPhone, to not crack his gum, and to not hit the wall between their cubicles. Each time the slob apologized but promptly ignored her requests. Finally, Judy asked her boss to move her to a cubicle far away from the slob. Her boss told her to ask HR. The HR rep said no other cubicles were available. She implied that Judy was not a team player after Judy pointed out that the slob was violating several HR policies on cubicle etiquette. Then the HR rep suggested that Judy should try to “work something out” with the slob. Judy left the HR meeting convinced that no one in authority cared about the slob next door. She can train the slob the same way she trained her dog, spraying him with water each time he engages in “bad” behavior. She can learn meditation techniques to help her deal calmly with the slob. She can ask whether she wants to work for a company that brags about corporate responsibility while allowing a slob to ignore company policy and annoy co-workers. Wanda owns a small company and she’s preparing for her next round of job interviews. She hates the interviewing and hiring process. It takes a lot of time away from running her business and the results can be iffy. In the last batch of job applicants the only one showing real promise was a biker dude with prison tattoos. Heshowed up on time, was polite and actually asked relevant questions about the job duties. Even though the biker dude lacked many of the job skills she was seeking, she immediately offered him the job because he seemed willing to learn. But Wanda knows that she can’t continue such a hit or miss process. She needs to find a better method for hiring new employees. She can reconsider what she’s looking for by ensuring the job description accurately reflects the job duties. It’s difficult to hire the “right” employee with the wrong job description. She can outsource much of the hiring process which will save her time. Of course, the staffing agency will need an accurate description of the job duties in order to find appropriate applicants for the job. She can rely more on referrals from friends, family and current employees as they understand her business are more likely to refer suitable candidates for job openings. Abigail and Bob started their business five years ago after being downsized from corporate jobs. Until recently they were the only employees, working long hours and outsourcing specific tasks to free-lancers (a/k/a independent contractors). Now they want to add employees to prepare for several new customers. They believe replacing the free-lancers with employees will allow them to streamline processes, speed up response times and become more profitable. As refugees from corporate America they want to avoid bogging down in bureaucracy but they also know they need some administrative structure. Hiring employees involves creating human resources policies to ensure that all employees are treated the same. What should Abigail and Bob do next? 1. They should identify all the tasks to be performed by the newly hired employees so that accurate job descriptions can be created. 2. They must decide the details of everything from a dress code to what benefits should be offered. Abigail and Bob are smart, educated individuals who can research HR issues and create an HR department from scratch. Or they can delegate this activity in order to free up their time to focus on growing their business. Corporate Compliance Risk Advisor can help them create their HR department and then serve as a resource for the HR manager.